This instrument is used for complete mixing of blood in blood collection tubes. 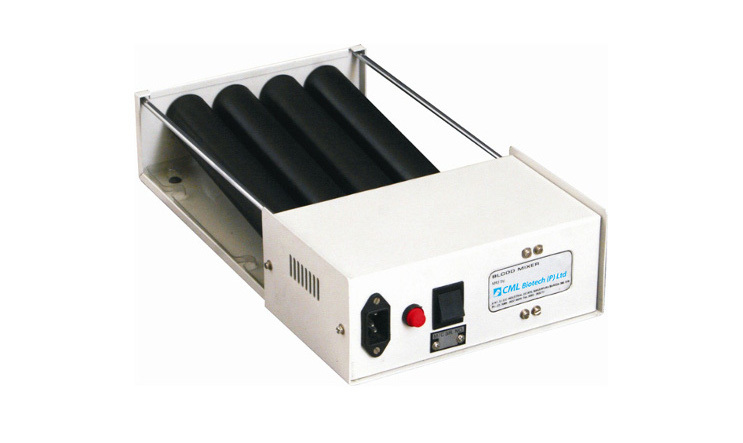 It can roll and swing blood collection tubes in its 5 rollers . Rotation speed can be adjusted and accommodate 6-8 nos or13x75mm/13x100mm or 8 nos vials.